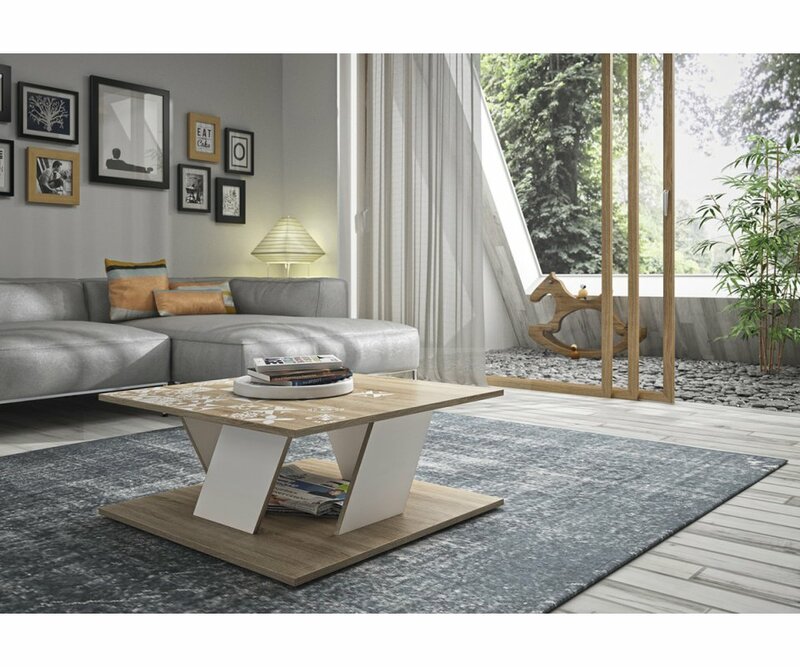 The ultra-chic design and light Scandinavian color of the Baltic Coffee Table will be a fresh accent to any room in your home or office. 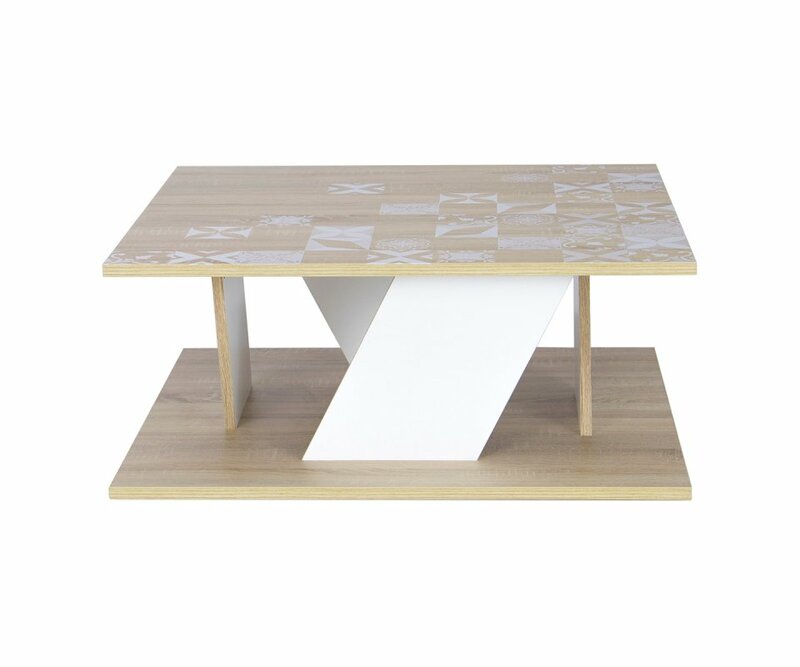 The table features a square shape, unique design, and soft, two-tone color palette. 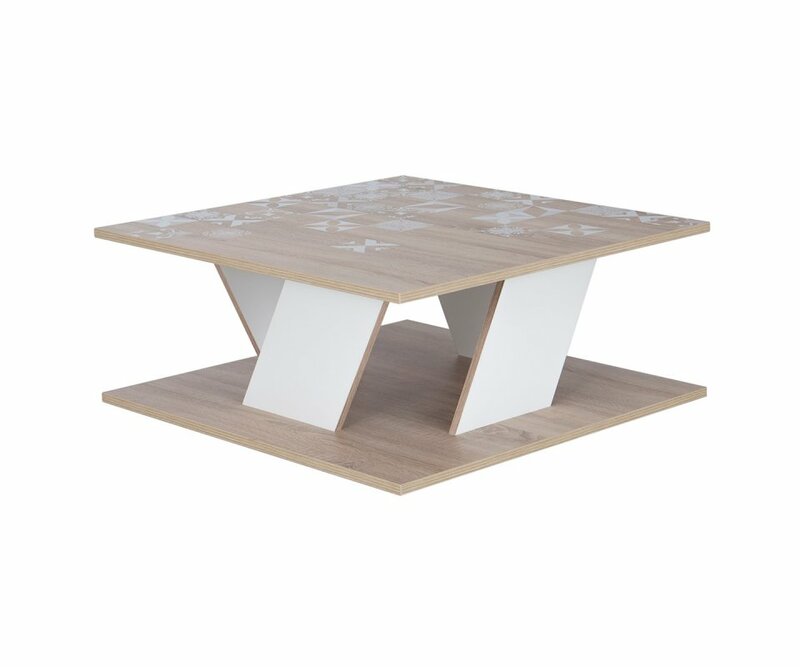 A combination of Haven Light Oak woodgrain and solid White veneers add a natural element to the table, and will blend with almost any décor style or color scheme you prefer. Angled panel legs give the impression of movement, and add a unique design feature that gives your space dimension and visual artistry. The legs connect to a lower shelf that adds stability and can store the coffee table books, décor or accessories that make a house a home. The tabletop features a stamp block patchwork pattern in White, Gray, and Haven Light Oak woodgrain, creating a charming centerpiece for your room.